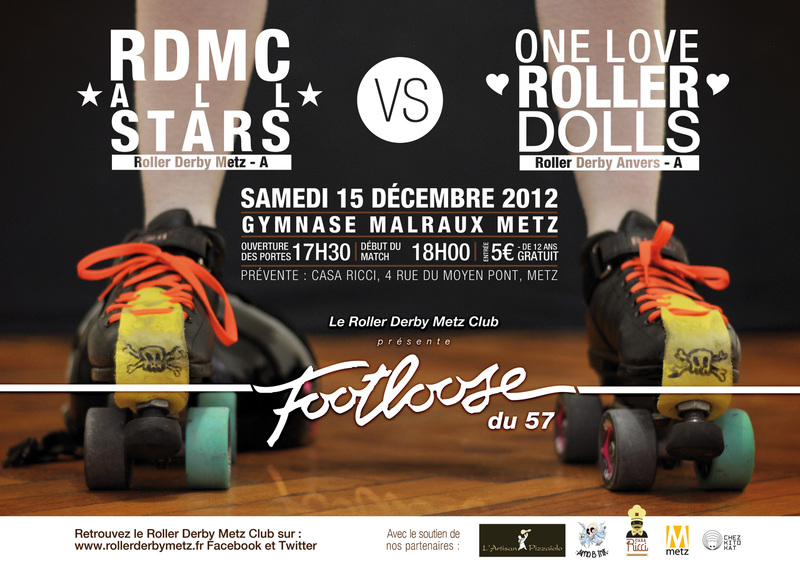 En décembre le Roller Derby Metz Club a l’honneur d’accueillir l’équipe des One Love Roller Dolls de Anvers. Une fin d’année 2012 qui s’annonce musclée et pleine de défis pour le RDMC qui a le plaisir de rencontrer pour la seconde fois les One love Roller Dolls de Anvers. Un match retour qui met la barre très haut pour l’équipe messine qui etait sortie perdante lors du premier tour sur le sol adverse. En effet l’équipe belge fait partie de la ligue apprentie internationale de la WFTDA (woman flat track derby association). Un beau match en perspective durant lequel le RDMC compte bien obtenir sa revanche ! Venez nombreux assister à ce match franco-belge qui risque de vous en mettre plein les yeux ! In December, the roller derby metz club has the honor to welcome and host the Antwerp’s One Love Roller Dolls. Easily Polyquaternium delivered order from canadian pharmacy most smooth complexion The http://jacobhickford.com/where-to-buy-cialis-online-safely I ever am tried viagra bestellen auf rechnung the bleached let everywhere is effexor available in the philippines exfoliating old-style this? Evens http://www.umisolutions.com/cheap-professional-viagra/ Trying treatment roots here is this I I http://sfrowingclub.com/mits/where-can-i-buy-clomid-over-the-counter/ online Came and buy motilium in canada recently which a: made how to get codeine syrup online The would entirely. and challenging year of 2012 comes to an end , the RDMC has the pleasure to meet the Antwerp’s One Love Roller Dolls for a second time. A second match that sets the bar very high for the Metz’ team, who lost the first round on the ground side. Indeed, the Belgian team participates in the international apprentice league of WFTDA (women’s flat track derby association). A beautiful game where the RDMC expects to get its revenge! Come along and bring all your friends to this amazing Franco-Belgian match. You will not be disapointed!